Only quality brands we use ourselves. WIFI connectivity anywhere you need it.
" We are a specialist wireless networking company thats been providing wireless network installation and support services for home, soho, sme and enterprise customers in north herts, south beds and around the london area since 2006. We can help you in any area of wireless networking with our onsite WLAN installation and support services combining WIFI infrastructure installation, wireless router administration, wireless client configuration and WIFI security." " We've installed and setup wireless networks inside and outside in all kinds of locations including houses, cottages, sheds, summer houses, outbuildings, gardens, offices, bars, pubs, hotels, barns, on water towers, cyber cafes, universities, village halls, in churches and graveyards. " 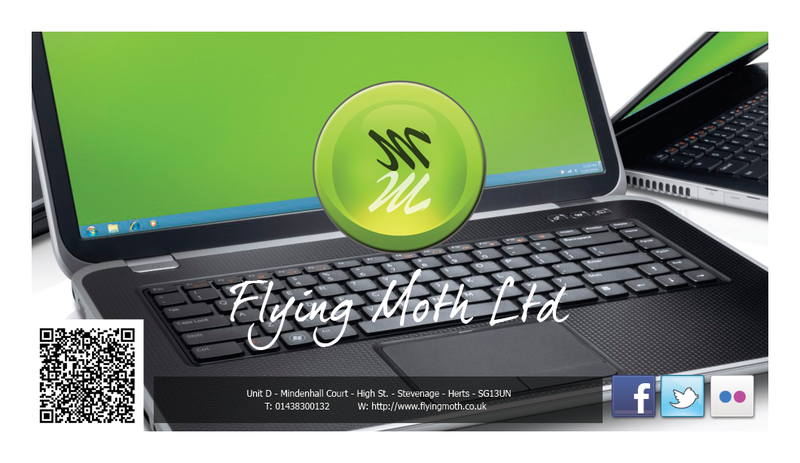 Based in Stevenage Hertfordshire here at flying moth ltd we offer a number of wireless networking services which can help you with all your wireless needs covering wireless access points, wireless routers, wireless notebook cards and wireless broadband around the home, office or business from installation of wifi hotspots to wireless router security and support. Our engineers can take care of all your networking needs, if you are having trouble with your home or office wireless network or need a new network installing or repairing or maybe just general maintenance we can help you today. If you are having problems with your wireless network broadband signal giving dead spots or low bar coverage or even no coverage in certain areas We can provide increased wireless network range for your network giving strong wireless signal improvement creating a strong wifi signal all over an area by installing chained access points and routers to provide greater wireless signal strength in a house, hotel, bar, building, warehouse, business premises or any area. If you find your wireless signal strength is not very good or just too low at maybe a bar or two bars we can increase the strength of your wireless signal and the overall coverage range of your wifi network to provide you with a stronger wireless reception for your mobile and wireless client devices. Improvement of weak wireless signal strength. Troubleshooting and repair of wifi connection issues. Diagnosis and fixing of wireless connection problems for laptops, macbooks, pc's, all in ones, imac, iphone, ipad, android phones and tablets, phablets, windows phone, smart devices, smart tv and wireless printers, Wireless Notebook card, Wireless PCI card, Wireless USB dongles. Configuration and setup of wireless routers, wifi access points and hubs, wifi range extenders and powerline broadband extenders from all manufacturers including: Belkin, Netgear, D-Link, TP-Link, Linksys, Devolo, Solwise, Apple Airport Express. Configuration of wireless routers and hubs from all uk internet service providers including BT, virgin media, sky, Plusnet, EE and talk talk. We can reset lost wifi passwords. 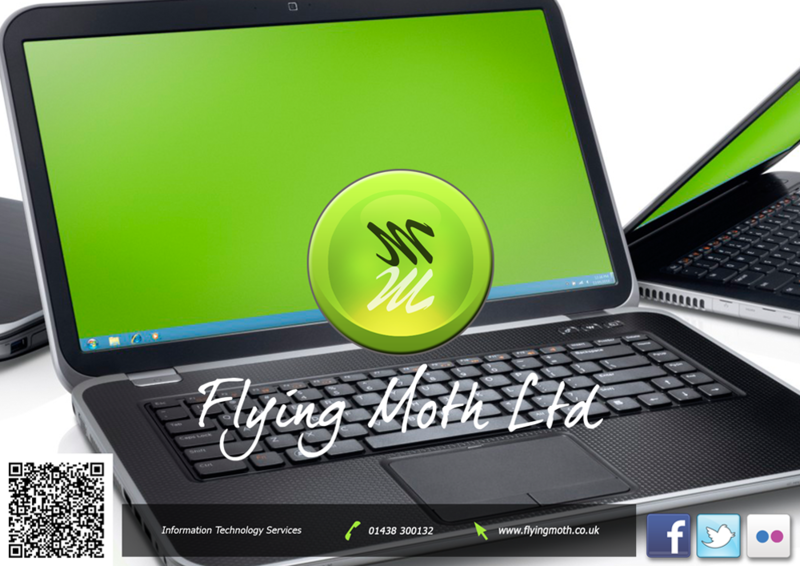 Connection to the wifi network of any wireless client device including laptops, macbooks, pc's, all in ones, imac, iphone, ipad, android phones and tablets, phablets, windows phone, smart devices, smart tv, Apple TV, Youview, Now tv and wireless printers. Install and configure any Wireless Notebook card. Install and configure any Wireless PCI card. Install and configure any Wireless USB adapter dongle. Configuration of WIFI security modes and passwords to prevent unauthorised access and eavesdropping on your wireless network. Incorporating the latest WIFI standards.
" Incorporating the most modern wifi technology available enables us to achieve the fastest wireless speeds with highest network performance, reliability and throughput. " Pre arranged rate charged per hour for the full hour for the first hour then half-hourly after for the whole time the engineer is away from base on your behalf, travel time to and from our office included, the clock starts when the engineer leaves and finishes upon return, however we only charge the standard time stated by the sat nav on normal travel condition days, therefore you will not be charged extra for sitting in traffic jams etc. ie travel to site time is 30mins and site time is 30mins and 30 mins travel back to base - total bill 90mins. Following a site survey/s and all relevent planning, a full itemised quote is issued to and agreed with by the customer before installation takes place. Want us to build your WIFI network? Need WIFI in an area where you dont have any signal? Call customer service on 01438300132 for a quote, to book a site survey or an appointment with one of our wireless network engineers. If you have problems with your WIFI we can help you. We provide onsite wireless network suppport services to fix your wifi problems, providing troubleshooting and repair of wifi connection issues if your wifi is dropping off, you cant connect to the internet or you have problems not being able to connect to your wifi network, our engineers will troubleshoot the problem and fix it for you or provide the full diagnosis and available options for you. 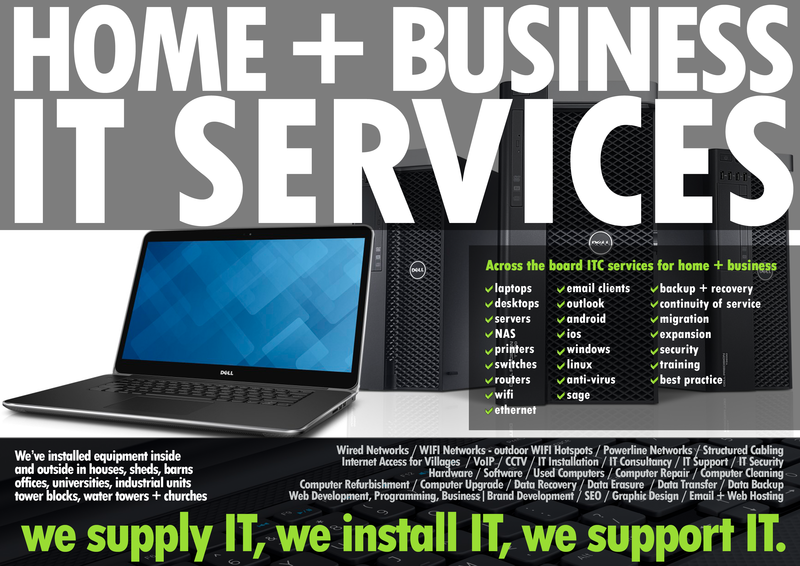 Working with computers and the cloud for home and business customers since 2006, we are a company based in Stevenage Hertfordshire providing computer networking and wireless network installation and support services for home, soho, sme & enterprise.